Last week we launched a new project: EuroTrip Planner. We are really happy with the results and welcome all travelers to check out the web app. EuroTrip Planner is a dedicated trip planner for Europe. With a few easy and intuitive steps you create you very own trip to Europe. The first part (the planning stage) is done in the browser by visiting the mentioned address. Secondly, users who have create their eurotrip are encourage to install an app on their mobile device so they can take their itinerary with them on the go. 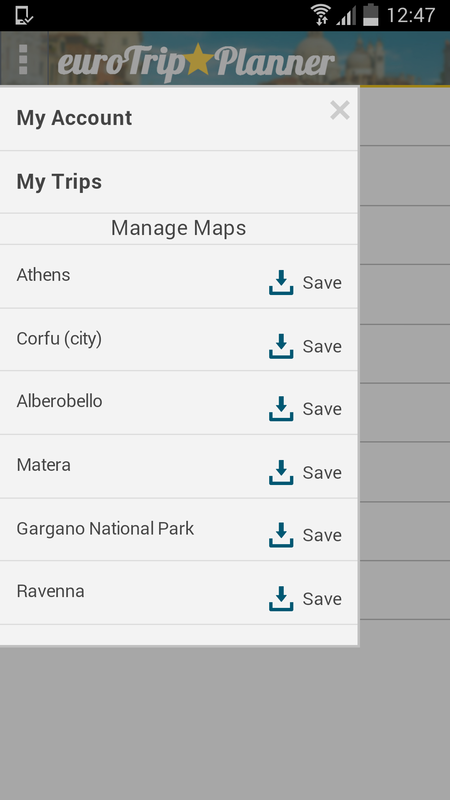 The app includes all the necessary background information about the places on their trip as well as the option to download the city maps in advanced. By doing so they are enabled to view the content of the places of interest and are able to navigate without having to have an internet connection will traveling. Okay last illustrate this with some fancy screenshots.The user starts with the screen on the right. Just select some places to start with. 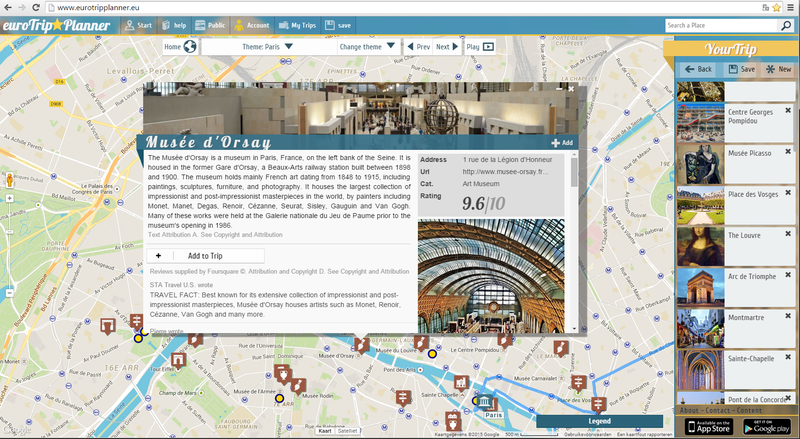 Next just browse the map and add every thing you like to the itinerary. The route will show up and from this finding new places on the route is as easy as it gets. Every places can be explored to show up what’s interesting within the specific city boundaries. There are just so many places that can be explored and discovered. Play around with all of them. Once familiar with the trip planner and done adding and exploring install the app and synchronize the browser itinerary with the one on the app. The editing part of the route is still done in the web app. The mobile app is just at version 1.0 at the moment of writing but we have new features on the agenda and will be launched soon. The features and UI of the app are for now rather basic, but the essential stuff is included. Like on the web app every sight within a city is nicely ordered by each city. Open up a city and you will see all the added places. Downloading city maps with the EuroTrip Planner app. As mentioned the traveler is encourage to download the city maps before hand. Internet connection often does cost serious money will traveling, so we things the travelers will love this feature (as can be seen in the last image)!